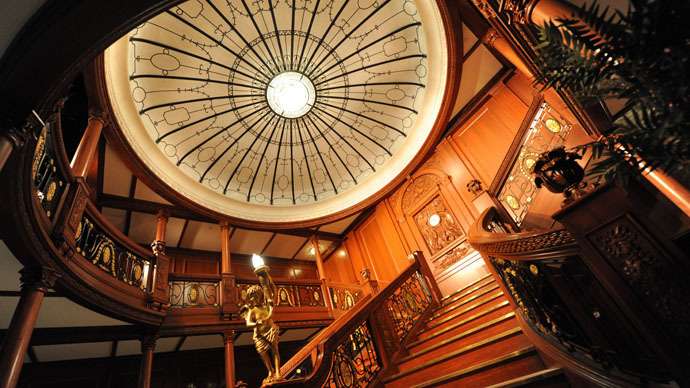 An ambitious project by a Chinese company is set to give visitors their very own Titanic sinking experience. Opening in 2017, the $161 million replica will not only feature every little details of the ship, it’ll also recreate the crash. For a fee of about $485 per night, you’re not just getting the journey – you’re also getting the lavish dinners, the dancing and the entertainment. Visitors will get to experience life as it was for the elite back in the day, the People’s Daily Online reports. Luxury tickets, however, will be more than 30 times that, at 100,000 yuan a pop. The exact dimensions of the original Titanic will also be reproduced; it will measure 882 feet in length and be made of 50,000 tons of steel – as much, if not more, than is used to build a real-life aircraft carrier. The company behind the project consulted with the US firm responsible for building the Titanic’s sister ship, the Olympic, back in 1910. The replica is currently being built by a Chinese company, Qixing Energy Investment Group, which first revealed the 1 billion yuan plan in January 2014. But it has recently announced that a limited number of 5,000 tickets will go on sale as soon as this June. “The new Titanic will offer a dream-like experience,” he added. The company even got hold of British actor Bernard Hill, who played the captain in James Cameron’s film, and invited him to the project launch, where he attended dressed in full uniform. The makers of the new Titanic claim they had more than just tourists in mind. Some part of the proceeds from the tickets sold will go toward a new Titanic fund dedicated to helping victims of maritime tragedies around the world, the company says. The curious will have to travel to China to see what it was like for the luxury liner’s passengers when it sank in 1912; the ship will be permanently docked on the Daying Qi river in Sichuan province. The new Titanic will also cost much more than the original. The project’s $161 million price tag dwarfs the price of the original ship, which cost 4.9 million pounds (about $7.7 million) to build. But even when adjusting for a century of inflation, the amount spent is still 50 percent more than on the ill-fated first Titanic.